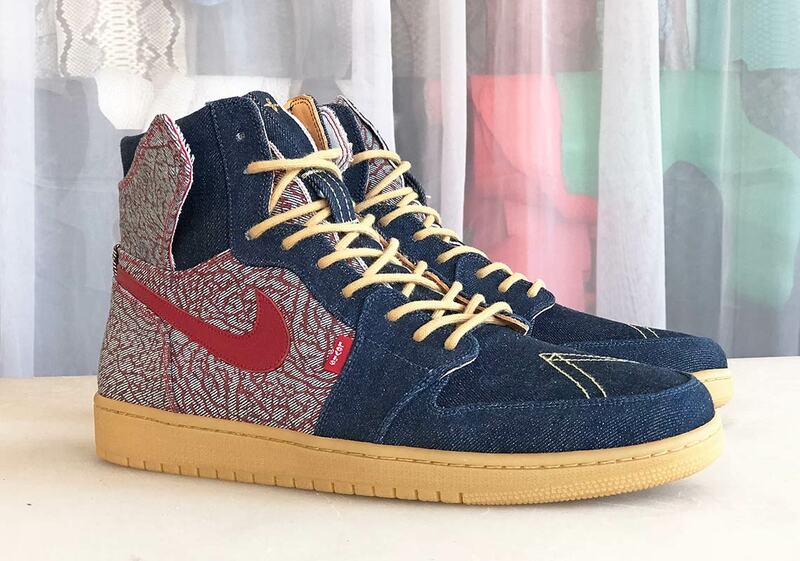 Denim and sneakers have more in common than you might think. Both tell a story about the wearer. Both get better with age. 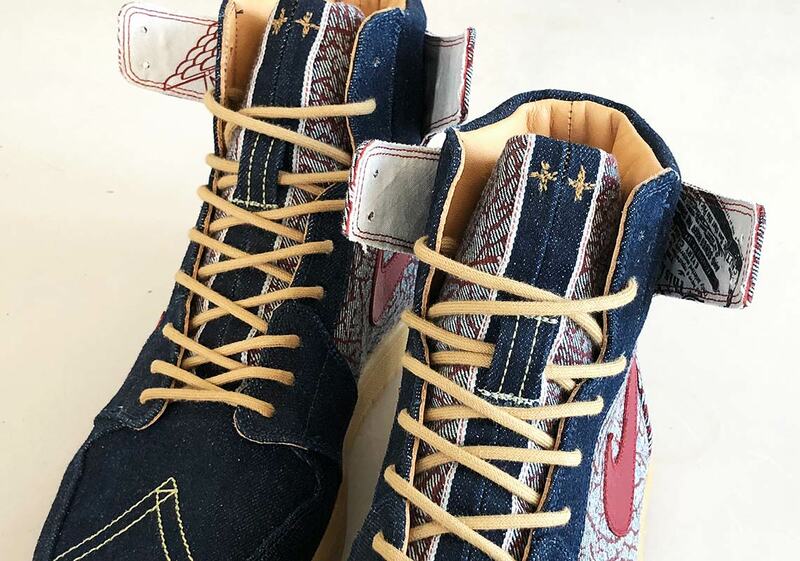 Both boast fervent fanbases, full of collectors and historians who know the ins and outs of the product, and those similarities were on display with the recent release of the Levi’s Jordan 4s, a shoe that fused the two cultures together. 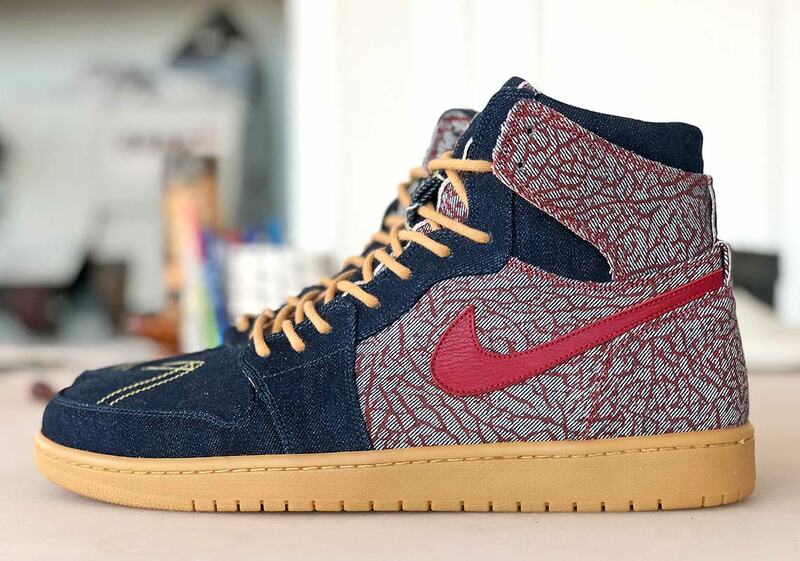 Now, well-known artesian sneaker customizer JBF Customs has released his one-of-one take on the fusion of denim and sneakers, using the Jordan 1 as a base. 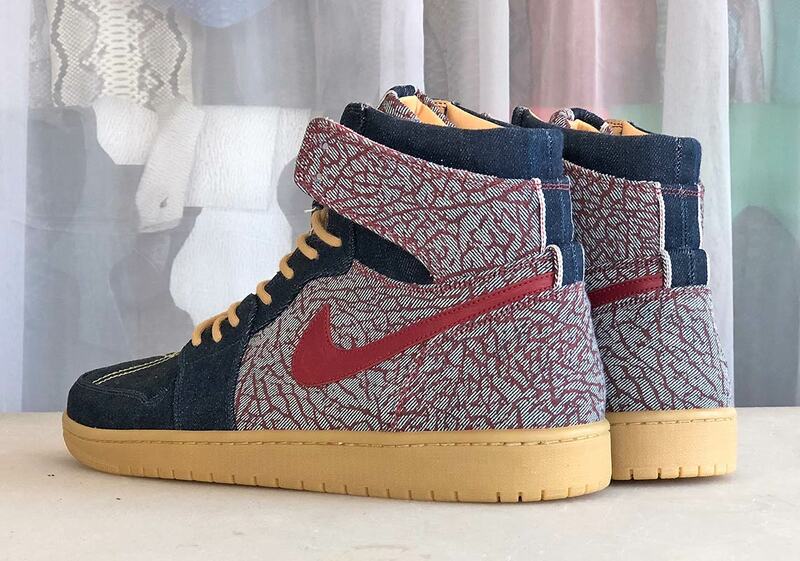 Utilizing a pair of Levi’s 501s from 2008’s Jordan 23/501 pack, JBF utalized both the inside and outside of the jeans to create a look that’s truly unique. 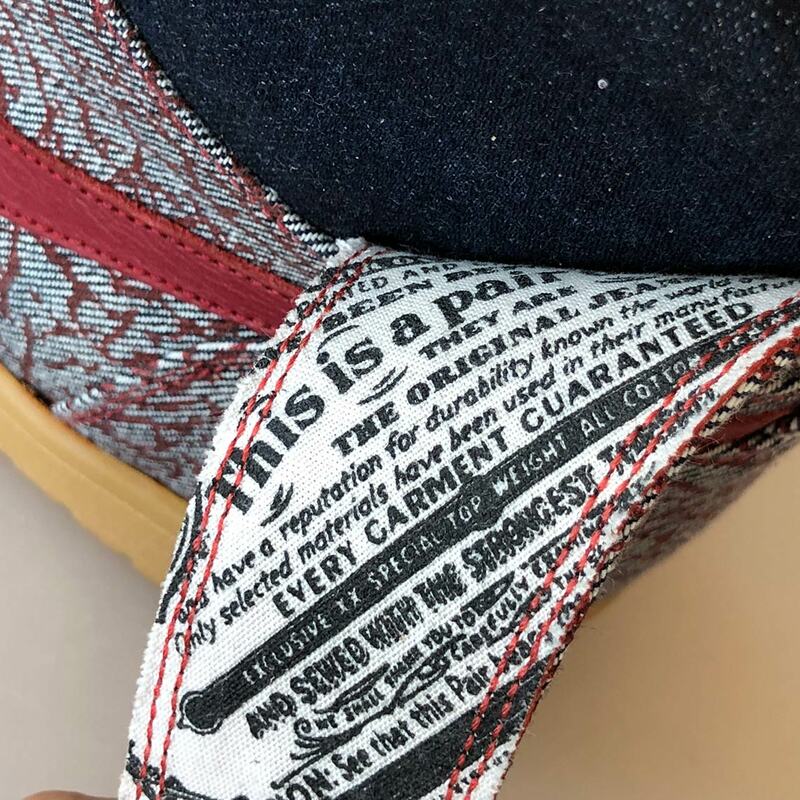 The shoe’s toebox utilizes the dark denim and stitching from the back pocket of the jeans for a wingtip look, and the midfoot/heel are dressed in a grey/red elephant print taken from the inside of the jeans for a look that’s unmistakably Jordan. 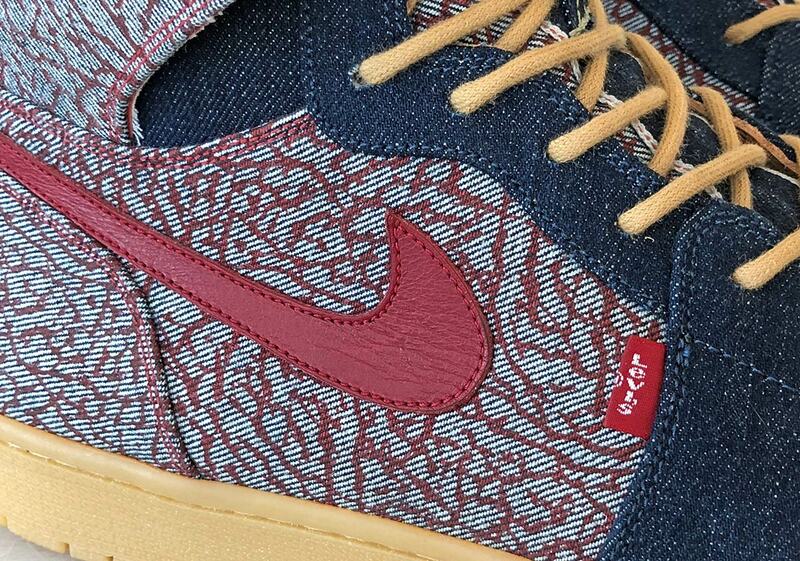 Further details arrive via a bark blue denim throat, tan laces, and a red swoosh. 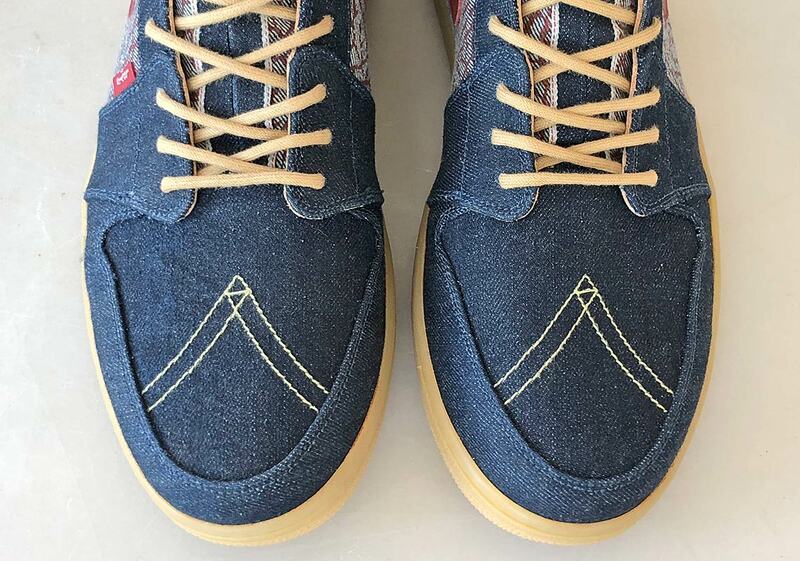 The shoe’s finishing touches arrive via the upper’s detached heel wings backed with the detailing from the inside of the jean’s pockets, and a selvedge denim seam that stretches down the middle of the tongue. The shoe is also lined with a premium veg tan leather for an extra high-quality feel. Sadly you won’t be able to buy this pair as they are a 1-of-1, but if you need custom work done you can contact JBF Customs to commission your own unique design.